Home composting: why everyone should be doing it! Why should I compost at home? I’ve started writing this post time and again and I always end up with one of two things; either (1) a huge long piece including intricate details about everything great about composting, gardening and home grown food or (2) a stupidly short blog piece because home composting seems so obvious and a no-brainer. Why do I compost at home? From a practical point, I compost because I love to grow my own vegetables. I love the sense of achievement of being able to serve my family homegrown healthy food. From a wider stance, composting and gardening can mean much more. Many people live busy lives and inspiring people to stay in touch with nature, slow down and just enjoy the simple things in life is important. Composting, gardening, mud pies, tree climbing, bee-keeping… whatever works for you. Composting and gardening also fit perfectly into the ideals of reducing, reusing and recycling. It’s a win, win! Recycling is a big thing for a lot of people, however, there are a few who are unsure about what they can and can’t recycle. For example, did you realise that you can recycle electronic things with a company like Premier Surplus. However, there are loads of ways that you can recycle. Why should you start home composting? Approximately a third of household waste is compostable. Rotting food in our landfills is the second largest source of man-made methane emissions. Unsurprisingly, many municipalities and regional districts are looking to remove these organics from the landfill. Many countries and regions provide organic and food scraps collection or drop-off points for residents to encourage people to think before throwing compostable waste into their black garbage can. The municipality (or private hauler) often provides a green bin to sit alongside the existing black garbage bin and a kitchen caddy to separate food scraps in the kitchen. Organic waste is then collected and taken to a large industrial scale composting facility for processing. But are we missing the point? Maybe you don’t have a regular garbage (and organic) collection? What if you don’t want to see more pick-up vehicles on our roads? What if you want to hold on to the value in your food scraps? Shouldn’t we be encouraging everyone to compost at home and enhance their own soils to promote home grown food? By composting our food scraps at home, we retain the value of our food ‘waste’ and turn it into valuable compost for our gardens. This saves the need for diesel trucks to come and pick up our food scraps, it means we never have to buy compost (or fertilizer) for our gardens again, it allows us to regain control of what happens to our food waste and where our compost comes from. Home composting makes sense in so many ways and promotes healthy soils to grow healthy food. The benefits of growing your own food (and flowers) are endless; it reduces your carbon footprint, helps you (and your family) reconnect with nature, reduces stress and is a great outdoor exercise. As previously mentioned, food waste makes up approximately a third of the average household waste. Turning this ‘waste’ into compost and removing it from your garbage is a huge step towards reducing your environmental footprint. Your food scraps can be transformed into fantastic compost and add much needed organic matter, nutrients and moisture to your soil. Maintaining healthy soil is essential for having a healthy garden and growing healthy fruits, vegetables, flowers and lawns. Many cities are starting to introduce Green Bin programs to collect household organic waste. Whilst this is great step in the right direction, it usually means another diesel pick-up truck to transport your food scraps to the compost facility, plus more trucks and engine emissions to return the compost to where it is needed; your garden. There are three key ways that composting at home helps to reduce our carbon footprints. Firstly, rotting food in our landfills is the second largest manmade source of methane emissions. Therefore, by composting this food ‘waste’ we can eliminate these emissions. Secondly, composting at home means that we can prevent additional diesel pick-up vehicles needed to transport organic matter and compost to and from industrial composting facilities. Thirdly, by carefully selecting the method of home composting we can reduce greenhouse gas emissions further. 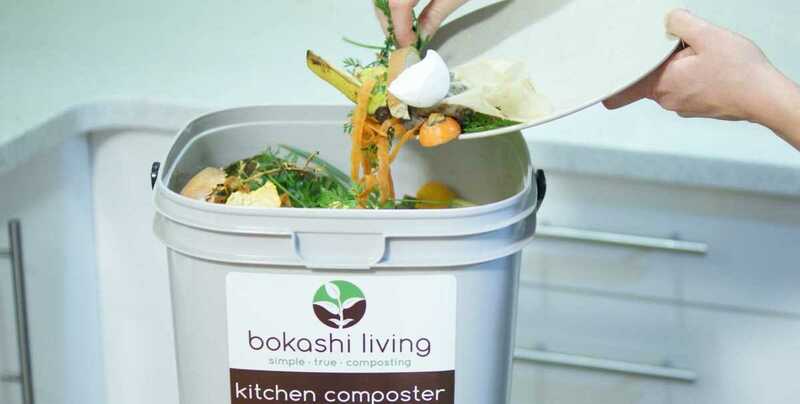 For example, bokashi composting produces no measureable greenhouse gas emissions as compare to traditional composting which can still produce methane and other greenhouse gas emissions. We are increasingly bombarded by messages about what is and isn’t put into our food. Many people are choosing to regain some control over what they feed themselves and their families by growing their own food. 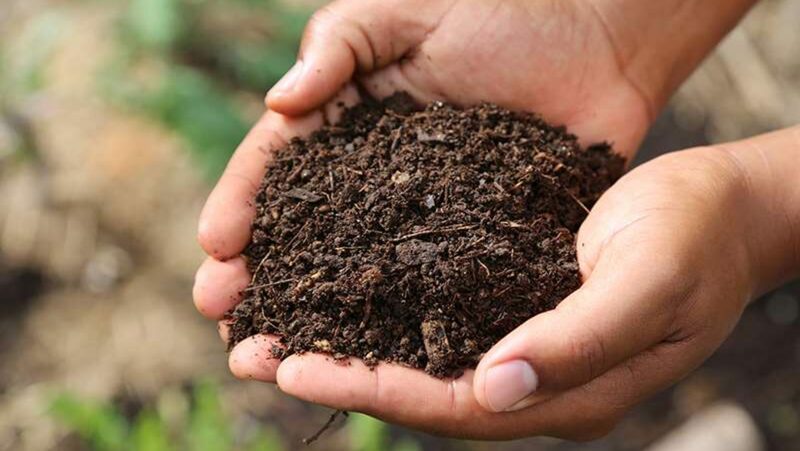 By feeding you soil with your own compost made from your own food scraps you can feel confident that food grown in your soil contains no additives or chemical fertilizers. Healthy soil to grow healthy food.